Hi there my name is Valerie. I am looking for pet care for my energetic pets. Please let me know if you are interested.Hi there my name is Valerie. I am looking for pet care for my energetic pets. Please let me know if you are interested.Hi there my name is Valerie. I am looking for pet care for my energetic pets. Please let me know if you are interested. Nice to meet you! My name is Shelly. We are interested in finding pet care in Vaughan for my rabbit. Please contact me if you are interested.Nice to meet you! My name is Shelly. We are interested in finding pet care in Vaughan for my rabbit. Please contact me if you are interested.Nice to meet you! My name is Shelly. We are interested in finding pet care in Vaughan for my rabbit. Please contact me if you are interested. 10 day stay required for my 9 month old Great Dane puppy!10 day stay required for my 9 month old Great Dane puppy!10 day stay required for my 9 month old Great Dane puppy!10 day stay required for my 9 month old Great Dane puppy! 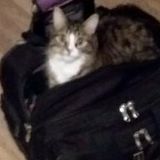 At PetSitter.com our goal is to connect job seekers to our community of pet owners in Vaughan, Ontario looking for pet sitting services. Our job board gives you instant access to the largest database of local pet sitting jobs available in North America.